Rattler Magnifiers feature interchangeable 3-position ratcheting bayonet temples and an adjustable head band with each pair. A unique feature of the head band with hook and loop closure is the ability to adjust with one hand while wearing. The Rattler also features full length, non-slip TPR temple sleeves for comfort and grip. A closed cell foam seal provides optimum protection from small particles and debris. 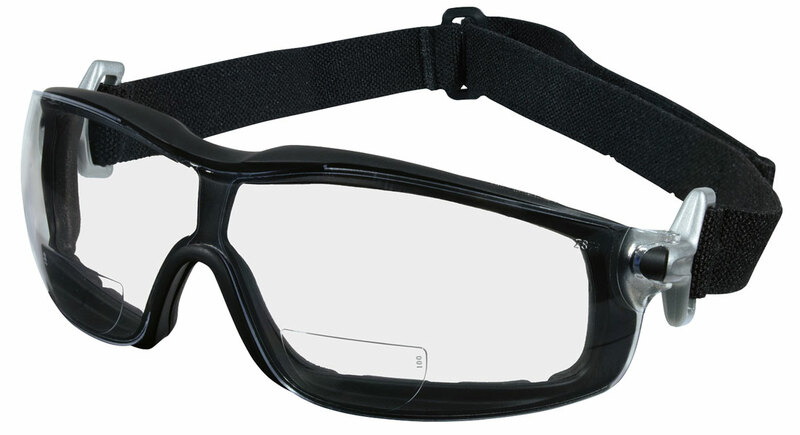 The light weight nylon frame and polycarbonate wrap- around lens design provides greater side impact protection.Anti-fog lens offerings include clear, gray,amber, and indoor/outdoor clear mirror in both black and silver frames and are treated with our exclusive Duramass® scratch-resistant coating.